North Korea says the CIA tried to assassinate Kim Jong Un using a chemical or biological poison. 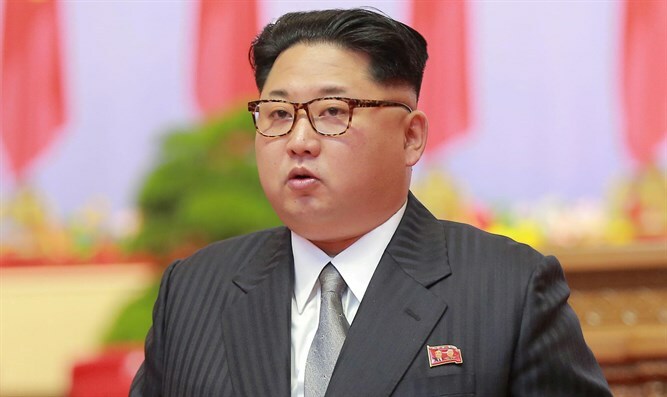 North Korea on Monday claimed that the United States tried to assassinate the country's leader Kim Jong Un, earlier this year, The Independent reported, citing the state-run Korea Central News Agency (KCNA) . The news agency claimed the CIA attempted to use a chemical or biological poison to take out the dictator. The alleged attempt shows the U.S. is the “main culprit behind terrorism”, it claimed. “In May this year, a group of heinous terrorists who infiltrated our country on the orders of the Central Intelligence Agency (CIA) of the U.S. and the South Korean puppet Intelligence Service with the purpose of carrying out state-sponsored terrorism against our supreme headquarters using biological and chemical substance were caught and exposed,” the report alleged. “This palpably shows the true nature of the U.S. as the main culprit behind terrorism”, said KCNA, which further claimed the U.S. “changes its colors” like a “chameleon” in order to justify overthrowing governments in other countries. It accused Washington of using the war against terrorism to justify its interventions in Afghanistan, Iraq and Libya. The North Korean government claimed in May that it had foiled a U.S. and South Korean plot to kill Kim. It said at the time that a man was paid to carry out an attack with biological substances. The CIA refused to comment on the reports. The latest report comes amid tensions between the U.S. and North Korea over Pyongyang's continued ballistic missile tests and nuclear tests, in defiance of UN sanctions. In a recent speech at the United Nations General Assembly, Trump threatened to "totally destroy" North Korea if it threatens the U.S. or any of its allies, deriding Kim as "Rocket Man" and warning he is on a "suicide mission." In response, North Korean's foreign minister said Trump had made an "irreversible mistake" and threatened the "entire U.S. mainland" with missiles.